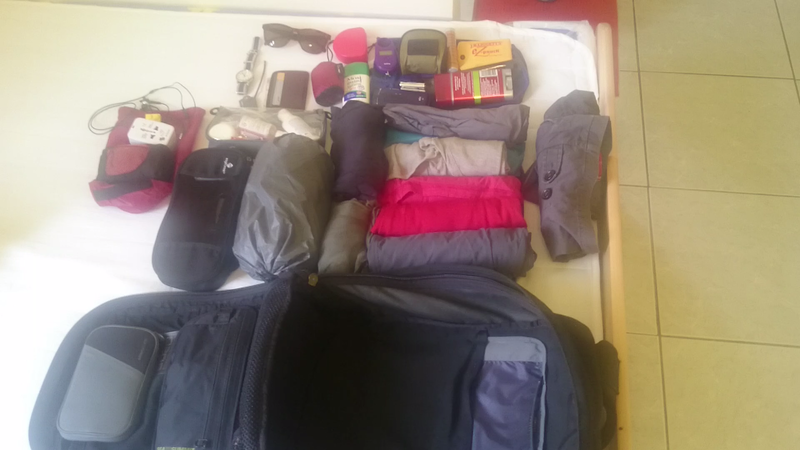 I previously did a video showing the contents of my backpack with which I travelled around carrying less than 6kg as a carry on backpack. This time I am going to show the contents of my current bag as a 7kg carry on backpack, this time includes a laptop and a few small changes from my previous video. 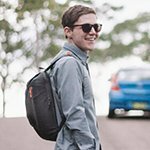 I also want to provide a few tips for those who also want to move towards a single bag for travelling. The first tip for travelling light is to start with the lightest weight gear you can find. The first thing is to find a bag that is as light as possible while empty. You don’t want an unnecessarily heavy bag wasting weight while empty. Second thing (if you need it) is to find the lightest weight laptop you can find. Currently at the time of writing this, the lightest laptop available is Lenovos LaVie laptops that weigh less than 1kg (2.2lbs). 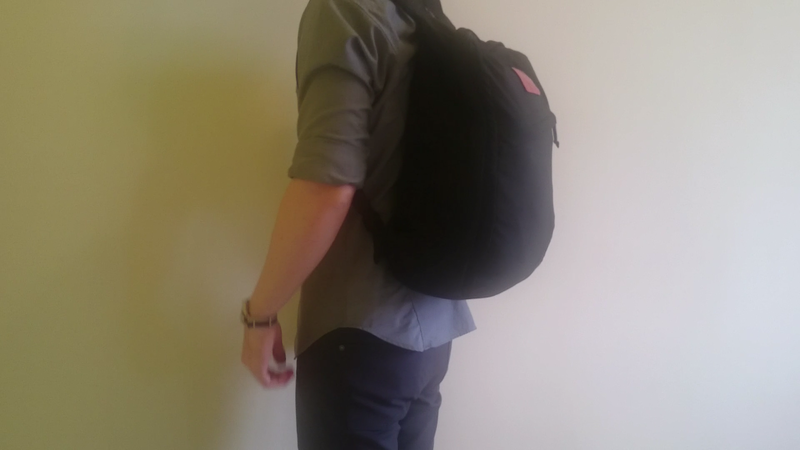 I personally am still using my Goruck SD20 which is a 20 litre capacity backpack that weighs around 750g when empty (this bag was discontinued but Goruck do make a similar bag called the Rucker 20). I like it because of the strong build quality and the front loading zipper that unzips 3 sides of the bag for easier and quicker packing. I have changed a few of my sea to summit stuff sacks for one Eagle Creek packing cube. This brings me to my next tip which is packing cubes and stuff sacks. These are great for organizing your bag and make packing and unpacking extremely quick and hassle free. Really handy for when you need a specific item too for example grabbing a charging cable and/or adapter at the airport without having to totally empty your bag to find it. 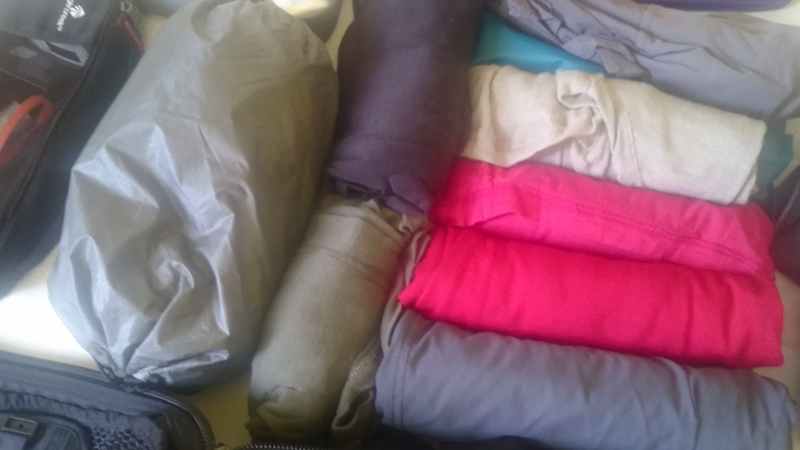 I have taken to separating liquids (in a Sea to Summit clear bag) and solids when packing. However when passing through airport security I never had any problems with needing to separate them. Passing through any TSA in Asia they don’t even care about putting liquids in clear bags in my experience. Some countries are more strict about it though, as I experienced while departing Sydney. The final tip I have is to do with clothing. You need to think about layering clothes for cold climates and also buying ‘smarter’ fabrics. Fabrics like merino wool do not absorb sweat like cotton and do not stink after sweating in them like cotton does. So in effect you can wear merino wool a few times in a row before washing it. Another good thing about merino is that is dries quickly. Which brings me to my next point which is you need to be prepared to wash along the way. Carry some Dr. Bronners soap or find some soap or even a laundromat and wash clothes on the road. This is a great way to decrease the need for too many clothes. I have packed my bag mainly for warmer climates although I have a pair of long johns and long sleeve merino henley shirt for if I end up somewhere cooler. If that happens I would probably go to the nearest Uniqlo and buy an ultralight down jacket after layering all my other clothes that is. Full disclosure: Linked items are Amazon affiliate links. All packed and ready to go it weighs in around a hair over 7kg (15.4lbs). The standard carry-on weight limit is around 7kg but if you have just a backpack as you check in they almost never check it. In fact I can’t even remember the last time I had my backpack weighed while checking in, even on budget airlines. I carried this bag fully packed as I walked around Taipei and from the train station in Tainan to my hotel about 35 minutes walk away and it was reasonable comfortable. It was a relief to take off but did not feel like a burden whilst carrying it. I would put that mostly down to the comfort of the goruck straps though I think. Finally when packing light you need to take into consideration the fact that almost anywhere you travel to that you will be able to buy what you need there. You will always be able to find a convenience store whether you’re in Australia or the middle of Thailand and if not at the destination then at some point along the way. You could pick up and dispose of toothbrushes, shavers, shampoo, etc. Some people do recommend bringing along your favourite deodorant though because occasionally deodorant isn’t as readily available in some asian countries. I hope that this information has been helpful as least a little and if you have any further questions feel free to leave a comment.